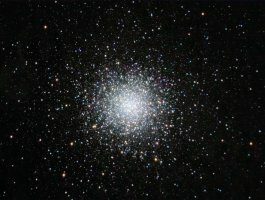 Star clusters are among the easiest deep space objects too see. They can be the next "step up" objects to look for after gazing at the Moon and planets. This is especially true of the brighter Messier objects, many of which shine through the worst sky pollution, especially with a small telescope. 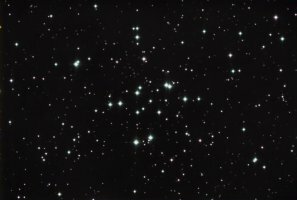 There are two general types of star clusters: Open, or galactic, clusters lie in the plane of the Milky Way and are conglomerations of relatively young (with exceptions) stars that were "born" together from the same nebula. Globular clusters are huge balls of stars swarming around a common center of gravity. They orbit the Milky Way and are not restricted to its plane.